Turkish cartoonist Melih Gürler has been given 10-month prison sentence for insulting Turkish Justice Minister Bekir Bozdağ in a letter he sent to mprisoned pro-Kurdish politician Selahattin Demirtaş, according to a report in Görülmüştür.org. 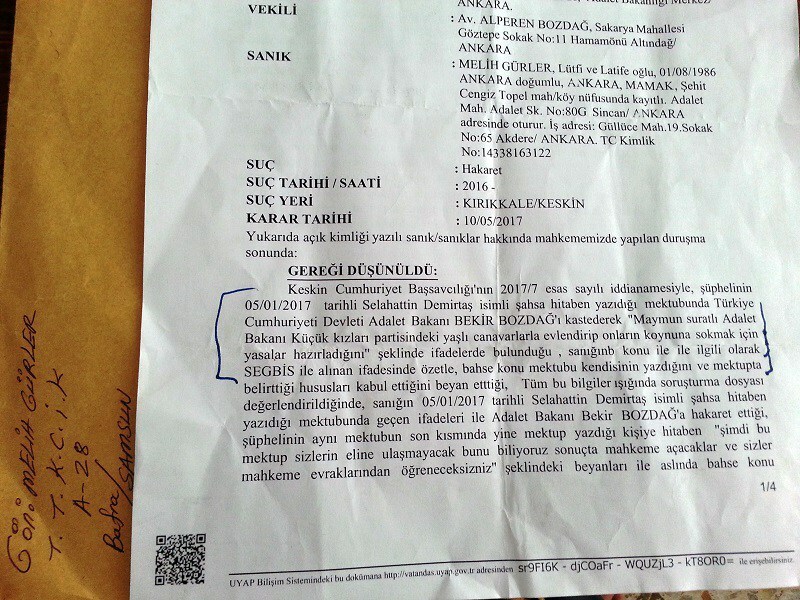 According to the website, Gürler, who has been staying in Bafra Type T Closed Prison in Samsun province, was additionaly given TL 980 fine as bail for Minister Bozdağ’s lawyer, and TL 11 to cover court expenditures. 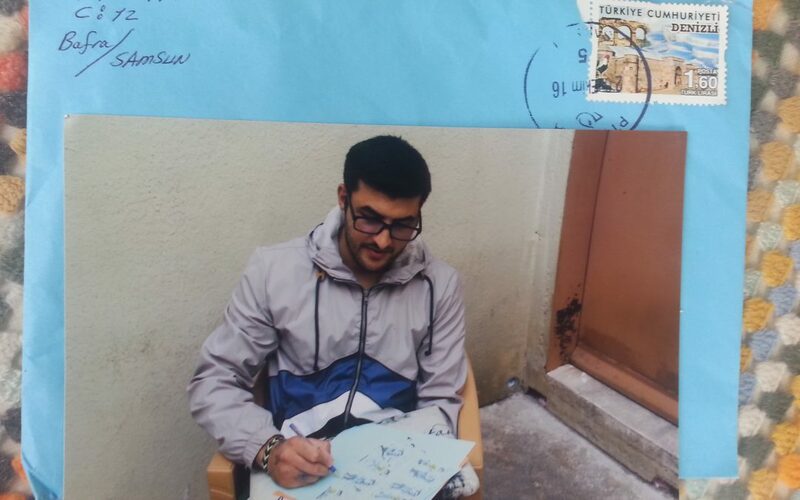 Previously, Gürler was given 1 year and 6 months jail time for “insulting” President Recep Tayyip Erdoğan in another letter he wanted to send to a man named Abdül Müttalip in Ankara.